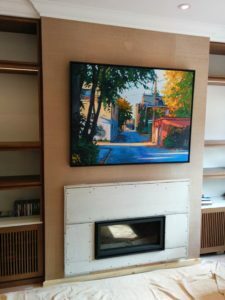 At CAM Painters we can install wallpaper in unique and interesting ways, maybe you’ll get some wallpaper ideas for your Toronto home! This is a great idea to jazz up a drab bookshelf. It’s a very good idea if you have limited material. For example, the wall behind this shelving was done with one double roll of wallpaper. 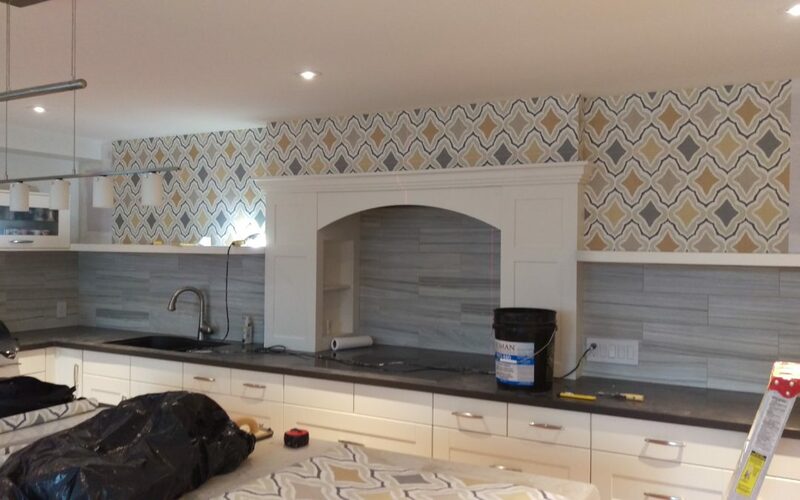 If there’s an area of your kitchen that you have cabinetry and you wanted to dress up the wall in between the upper and lower cabinets, why not use some wallpaper? 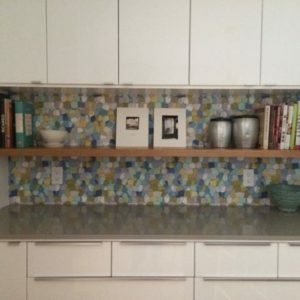 It’s best to use it in an area where there isn’t a lot of moisture or grease, which would be more suited to a tile backsplash. Here’s a pantry area in a kitchen where we used wallpaper as the backsplash and it looks fantastic. You can’t get tile that looks like this!!!! 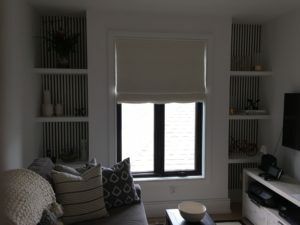 Once again, we did this installation with one double roll of standard sized wallpaper. 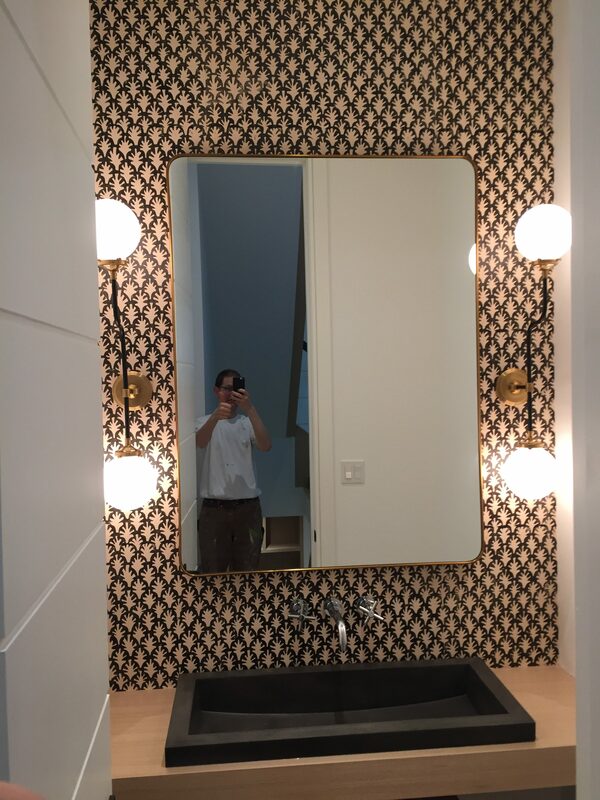 Once again, if you only have one double roll of wallpaper here’s a great idea; why don’t you do an accent wall in your powder room? 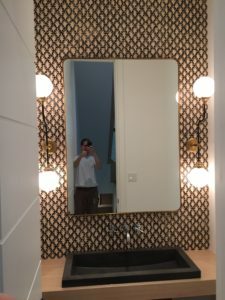 Accenting the vanity wall can be a great way of adding some p op and visual interest to an otherwise boring powder room. Your guests will be delighted as they sit around, doing what people do in powder rooms, facing a cavalcade of colour and design! A fireplace is a place for the family to gather around, in fact, it’s a focal point of many homes (well, before TV anyway). Why not make it even better with some wallpaper? The installation shown was done with one roll of grasscloth and it turned out great, the client was very pleased. This is a great way to add wallpaper to a bedroom. 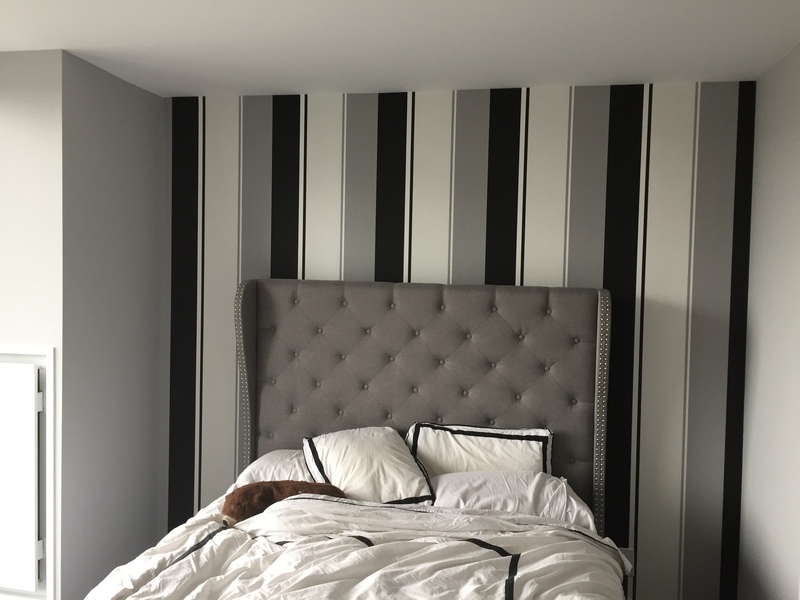 Generally and accent wall in a bedroom takes 2 to 4 double rolls of wallpaper, depending on the size of the wall. But the right wallpaper really makes a difference. The photo here was done with 2 double rolls of wallpaper. 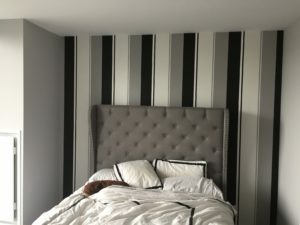 How many rolls of wallpaper should I order for my wallpaper project? Just ask, we’ve done a lot of wallpaper installations and are happy to share our ideas. In fact, why don’t you book a quote? We’d be happy to transform your home with the beauty of wallpaper!